"I DIDN'T DO ANYTHING AND HE JUST JUMPED ON ME AND STARTED BITING ME AND HURTING MY BACK, NECK , EYE, AND TOOTH. I FELT LIKE I WAS GOING TO DIE AS IF I WON'T SEE MY FAMILY AGAIN. I WAS SO SCARED. I HOPE THE DOG'S OWNER WILL BE PUNISHED AND IMPRISONED. THESE TYPES OF DOGS SHOULD BE KILLED AROUND THE WORLD. THIS IS THE FIRST TIME THAT I HATE A DOG SO MUCH. I GENERALLY LIKE DOGS BUT NOT DOGS LIKE THESE." 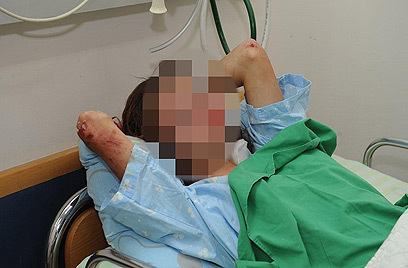 Some 2 weeks ago a 10-year-old boy was injured from another AMSTAFF bite in a forest adjaent to Elad. He was taken to a hospital with wounds to his back and neck. Where were the parents of the 14 year old in all this? Aren't they at least partly responsible for teaching their child something about safety with a dangerous dog, and that he probably weights LESS than the dog and certainly shouldn't be walking it at all? This girl is right-times changes and the pit bull's 'usefulness' as a pit fighter has long since passed. 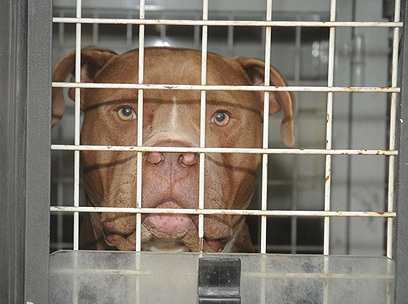 There's no good reason for anyone to own a pit bull anymore. Exterminate the breed end the deed.